Ah the Piccadilly Line, my old nemesis. We meet again. It had been less than 24 hours since the kids and I were stranded at Leicester Square for a full 13 minutes, and yet here were Eva and I tackling it again. I had a plan to avoid what I remember as being a long and arduous change at Finsbury Park – if you’re coming south on the Victoria Line and want to continue south on the Piccadilly Line, it’s a very easy walk through but heaven forbid you should want to arrive from the north on the Vic line and bounce back up north on the Piccadilly. That manoevure I remembered as being a pain in the oyster last time we went to Chickenshed on the tube. So this time, I was going to try my Clever Plan – change onto the Picc Line for one stop south, get off and walk through to the northbound and back up. But once again, the Piccadilly Line was not playing my games. As we got onto the southbound train an announcement told us that the train was being held for a short time to regulate the service. So we hopped back off and made that arduous change I was talking about. Turns out it only takes 2 minutes but involves 108 stairs – 54 up and then 54 back down again. Now you know. Anyway, enough transport geekery. 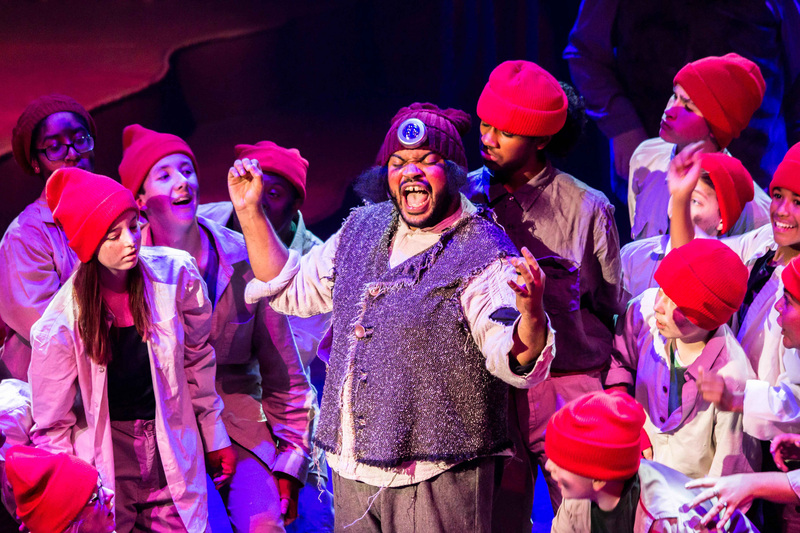 We were going to Chickenshed to see their production of Rapunzel – a musical retelling of the fairy tale with a cast of hundreds. We were sitting upstairs, using the “Yellow Entrance” which has (don’t tell anyone) a handy set of toilets nearby. It also has a great view and a little space where Eva could stand up and dance during the songs. Again, don’t tell anyone…our little secret. The show starts in the real world, where a girl called Hazel is reading bedtime stories to a group of children. They get sucked into the story book and Hazel becomes Rapunzel, with no memory of her real life outside the tower. It’s a story about freedom and dreams and magic. You know the basic story – princess gets stolen by witch because of her magical hair and is locked in a tower until she is rescued. 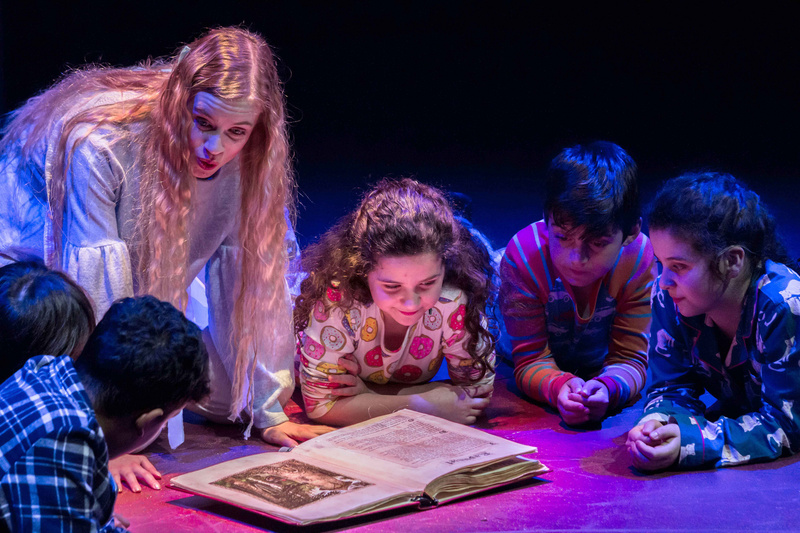 Chickenshed fleshed out the tale with groups of sleep fairies, hinkypunks, gnomes and citizens of the Kingdom of Kindness. When they were all on stage at once, the look and the sound was impressive – it seemed on a far grander scale than most productions at small theatres. There were some actors I recognised from The Midnight Gang – notably Sarah Connolly, who here played the kind-hearted Queen Aramynta. It was a bit of a shift from her role as the Matron who was, quite frankly, evil and it took me a while to trust her. But she convinced me with her soulful singing about her lost daughter. I also recognised the dryad Dryope (Finn Walters), who I think was Robin from the Midnight Gang and here he brought his gangly energy to an altogether more mischievous role. The main part was played by Cerys Lambert, who was perfectly cast as Rapunzel with her waif-like looks and incredibly pure singing voice. She had just the right level of naivety to play a character who’d been locked away from the world all her life without tipping into cloying over-sweetness. Eva pointed out that her dress was the wrong colour but I think she’s been brainwashed by Disney into thinking Rapunzel has to wear purple. And that was Eva’s only criticism of the whole thing. 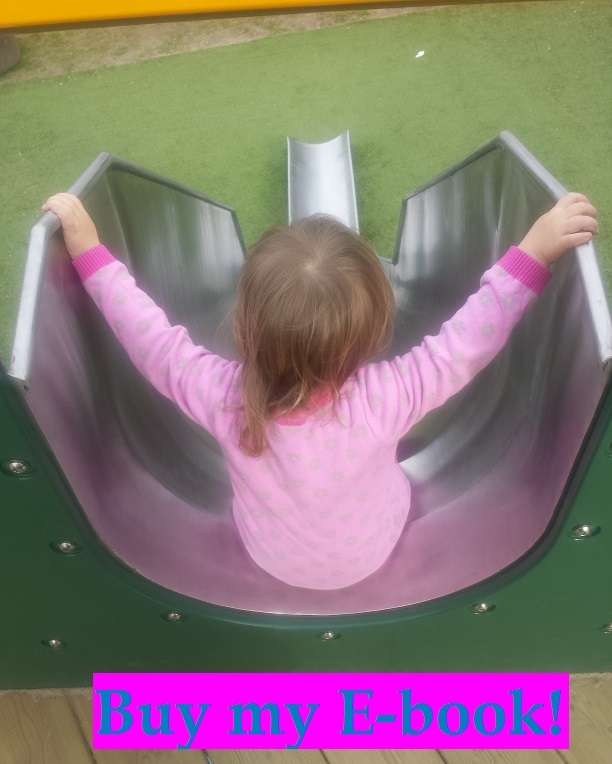 She loved it from start to finish and has been needling Reuben about how much he missed out by not going (don’t feel sorry for him – he’s been to plenty of shows without her). She swayed and grinned through all the songs and thought the cat and the raven were very funny. Towards the end, when *spoilers* Mother Gothel was defeated, I noticed her silently wiping away tears. I wondered what she could possibly be sad about unless she’d be on the witch’s side (always possible with Eva). So I leant over and tried to ask her as quietly as possible what was wrong. “I AM happy” she replied “There’s just tears coming out”. She’s her mother’s daughter alright. By the time the King and Queen were reunited with their lost child, I was welling up too and I’m sure I was far from the only one. 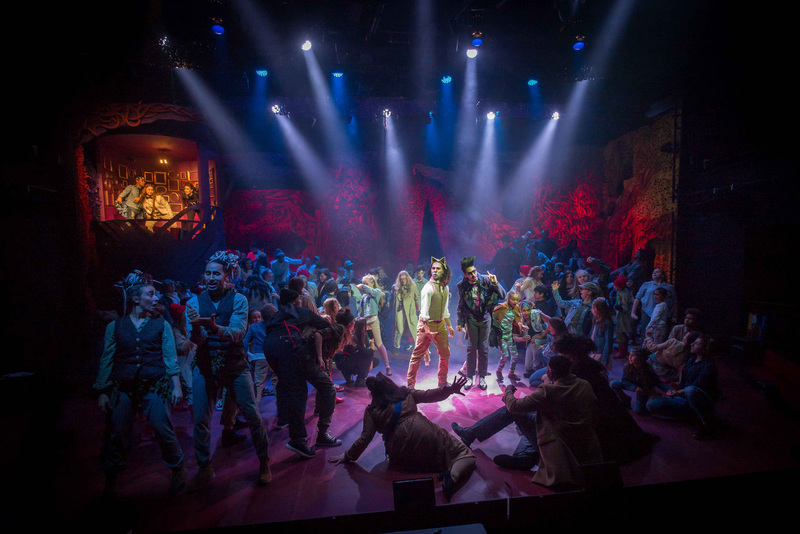 Chickenshed sure knows how to hit you in the feelings – the very nature of the place is so inclusive and welcoming that as soon as you walk through the door you can start feeling a bit emotional. The show was closed-captioned but also had a signer on stage at all times, dressed as a cast member so they blended seamlessly into the production. It’s stuff like that that makes you feel yes, this is a place that cares. And this production of Rapunzel was just full of the same kind of heart. There were messages of acceptance and overcoming differences and needing each other, which is a strong theme in Chickenshed’s work. But in case this is all sounding a bit worthy, worry not. There were also spectacular set pieces, sassy jokes and even the odd scary moment, which Eva coped remarkably well with. The pace was fast enough to keep the audience engaged, without rushing over the character development. The set was cleverly designed to shift effortlessly from woodland to underground passage in the blink of an eye and the musicians were craftily concealed in the top corner. It was a complex production – and I believe the cast totals 800 over four rotations – but very well pulled off. 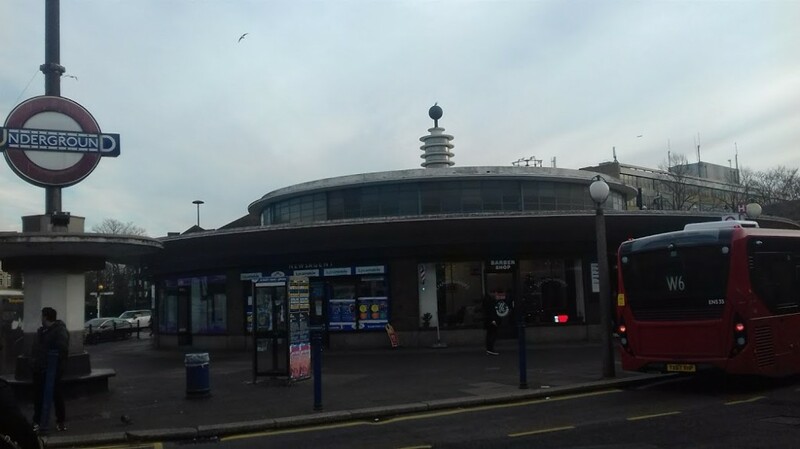 This entry was posted in Uncategorized and tagged North London, theatre. Bookmark the permalink.